Following on from the success of last year we are again taking Thurrock Art Trail to the annual Feast and Fayre at Horndon on the Hill. Thurrock is a large district and, compared to art trails held by compact communities, visiting an art trail scattered across Thurrock involves a lot of travel. So in 2018 we tried a new format, we brought the Art Trail to a covered "Art Lane" plus other participating venues in Horndon on the Hill:- the art and artists travelled so the visitors didn't have to! 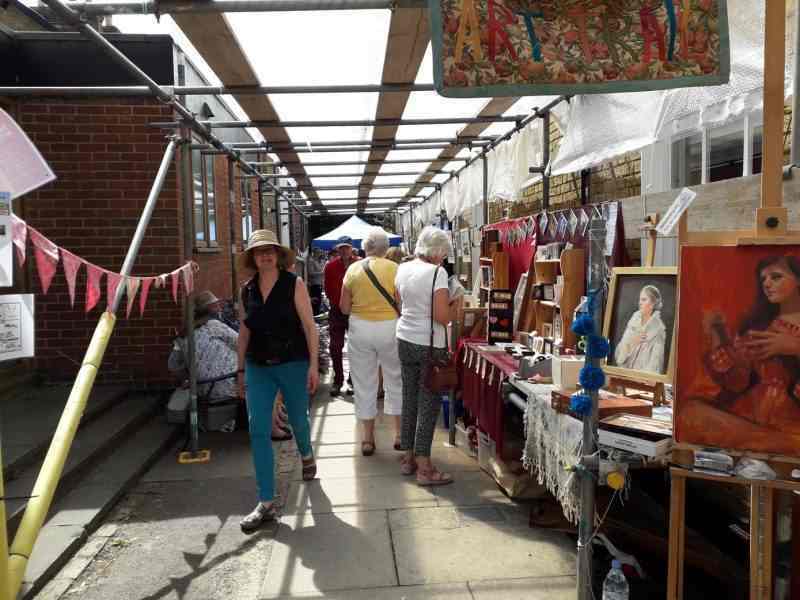 In Horndon we will have artists exhibiting and demonstrating in the "Art Lane" (St Peters Way leading from the historic Woolmarket to the Church) and in the Well House Gallery. By kind permission of the Bell Inn, we will also have art in the Ostlers Restaurant and Bar and in the Ostlers Garden. Please check our Events page for all details, for exhibitions open at other dates and for contact numbers to check opening times for these. While in Horndon for the Art Trail, visit the flower festival at the Church of St Peter and St Paul and take part in everything that Horndon Feast and Fayre offers. This includes Entertainment, Music, Food, Drink and many craft stalls lining the High Street and in the Village Hall and the Woolmarket. On the Sunday morning is the demanding Horndon 10k Road Race popular with spectators and competitors. Note that the Village High Street is closed for all vehicles for both days. There is no parking in the Village but a car park is available at both approaches to the Village. A historical note, the Feast and Fayre began in mediaeval times when King Edward I granted a Royal Charter to Robert Gifford and his heirs that the village should celebrate the feast of the Apostles Peter and Paul, the patron saints of the village Church. Although it was discontinued for a while, it was revived by the Horndon Society in 1974 and has happened every year since then. If you want to put on exhibition or event as part of Thurrock Art Trail in 2019 contact us to be added to our Events listing. We’re proud once again to be part of the Essex Summer of Art and the Essex Network of Artist Studios events programme. 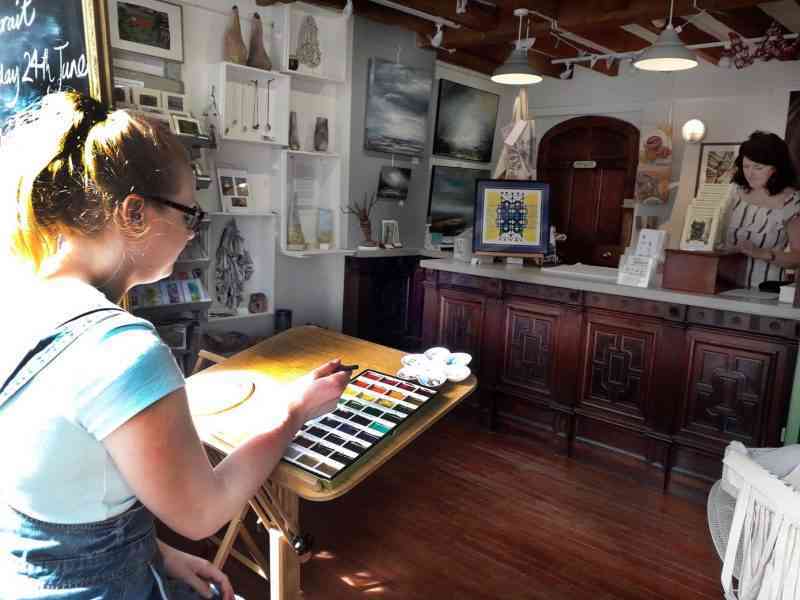 ESA and ENAS showcase artists from across Essex from May to October, providing exciting opportunities to visit art trails, artist studios, workshops and other events.